The Tony Kennedy Family. Is that Tony, his wife, three children and six grandchildren or is it the 289 children on the campuses of Oklahoma Baptist Homes for Children? Actually, for Kennedy, president of OBHC, it is both. 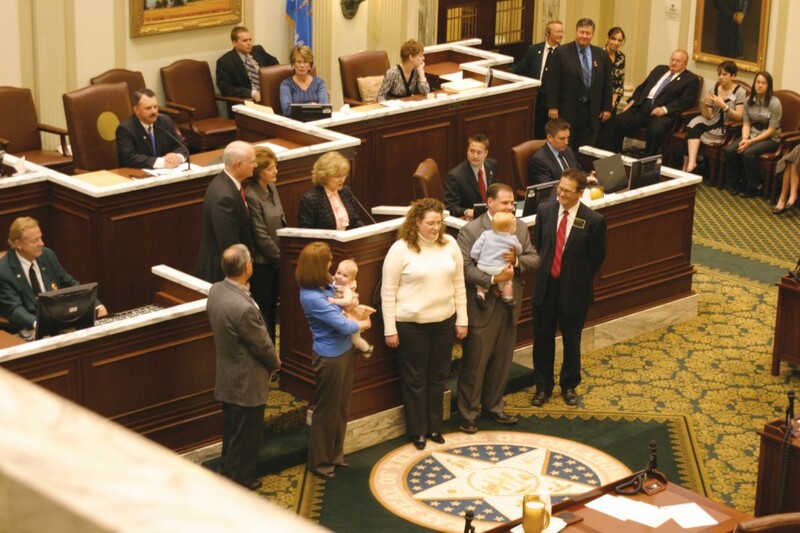 But on this day, April 9, at the State Capitol, Kennedy, his wife, Sheryl, their three children and spouses, Leslie and Barry Hollis, Stewart and Casey Kennedy and Erin and Jonathan Austin, and grandchildren, Christopher Nelson Hollis; Emily Anna, Peyton Michael and Chance Emmett Kennedy, and Jackson David and Meredith Grace Austin were honored as Oklahoma Family of the Year by the Oklahoma Family Policy Council. The recognition took place during Family Day at the State Capitol, where citizens gather to remind legislators to “remember the family” when they are considering bills which impact the lives of Oklahoma families. The Kennedy family was recognized at the beginning of the House of Representatives session. They are the third Family of the Year chosen by OFCP. The first was also a Baptist family, the Ralph Bullards of Edmond. Bullard served many years as head of Christian Heritage Academy. The family of character criteria by which the Family of the Year is chosen includes the areas of faith involvement, family dynamics and community involvement, said OFPC spokeswoman Trish Carruth. Faith involvement includes a relationship with God modeling positive moral values, serving in a local faith body and encouraging others to grow in faith. The family also shows respect and honor to parents, elders and one another, demonstrates genuine, sacrificial love for one another, makes wise choices and strives to right wrongs committed against others and enjoys family activities together and with others outside the family. Families of character are also involved in community service, have a positive influence on others within the community and are looked to as respected leaders. Kennedy grew up in Elmore City, and his wife was raised in nearby Maysville. He holds degrees from Murray State College, Oklahoma State University and the University of Central Oklahoma. Before coming president of OBHC in 1997, he served 13 years as administrator of Boys Ranch Town in Edmond. Before that, he was southeast district supervisor for the State Department of Vocational-Technical Education. The ministry of OBHC includes four residential child-care campuses, three Hope Pregnancy Centers, maternity and adoptive services. OBHC has facilities in Oklahoma City, Edmond, Tulsa, Owasso and Madill. Kennedy has served as chair and member of the Oklahoma Commission on Children and Youth, as president, secretary-treasurer and member of the Oklahoma Children’s Agencies and Residential Enterprises (OkCare) and as president, secretary-treasurer and member of the Southwestern Association of Child Care Executives. 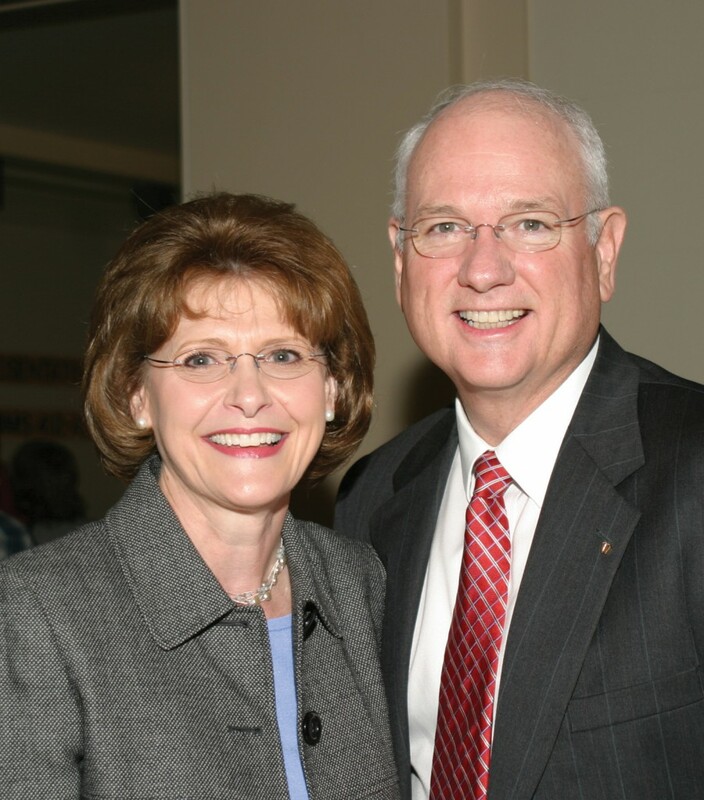 He is a past president of the Baptist Child Care Executives. The Kennedy children say their parents emphasized, education, hard work, fairness and especially a personal relationship and walk with Jesus. Stewart said he used to enter FFA speech contests, at his dad’s prompting, and one year he wanted to go out with his friends the night before a competition. “My Dad said, ‘OK, son, I hope you enjoy getting beat at the speech meet, ’cause that’s what’s going to happen.’ I stayed home and practiced and won the meet the next day,” Steward remembers. Older daughter, Leslie, said the way her dad cared for others and how it permeated every area of his life, is the reason she is a pediatrician today, one of the few who donates time to serve foster kids and struggling kids from broken families. All three children said they admire their parents’ generosity and hospitality toward others. 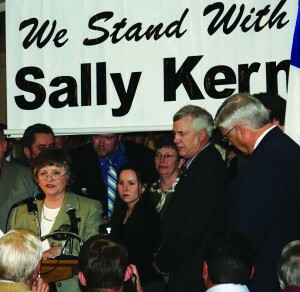 Kennedy and his wife are long-time members of Edmond, First. Kennedy, who knew nothing of the coming honor until Wednesday, was lured to the Capitol by his son, Stewart. He was obviously surprised when he walked in and saw his family members in the Rotunda. In a few impromptu remarks, Kennedy said he has weathered life because of the love of Jesus and the grace bestowed on him. “I think about the grace my kids have extended me,” said Kennedy. “I’ve made a lot of mistakes. Kennedy said one of his family’s favorite books is Intimate Moments with the Savior. Alan Day, pastor of Edmond, First, and the Kennedys’ pastor for the last 23 years, said the OFPC couldn’t have done a better job of choosing a family of the year. Keynote speaker at this year’s Family Day was Marq Youngblood, chief operating officer for the Oklahoma Department of Human Services, who said strong families can transcend financial challenges, cultural differences and societal ills. Youngblood said he is grateful for capable courageous and committed national and world leaders, but his hope for a better society has more to do with family leaders who happen to be community, city, state, national and world leaders.